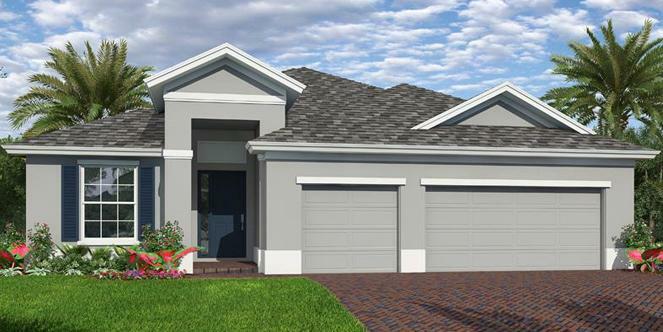 This is a Custom Camino floor plan which offers 2 bedrooms, a den, and a 3 car garage. The home will be tiled throughout with the main living areas diagonal tile. The kitchen cabinets are a Level 2 with molding and there are double ovens. Quartz counter tops in the Kitchen and both bath counter tops. No need to worry about hurricanes, all windows and slider doors are Impact Glass. A Custom Camino floor plan!